We are thankful for the versatility of this Alternative Apparel “Grateful” hoodie! It’s lightweight, breezy and affirms the Girls on the Run core value of expressing joy, optimism and gratitude. It’s the perfect piece for a sunny or casual day! Cotton/Polyester blend. 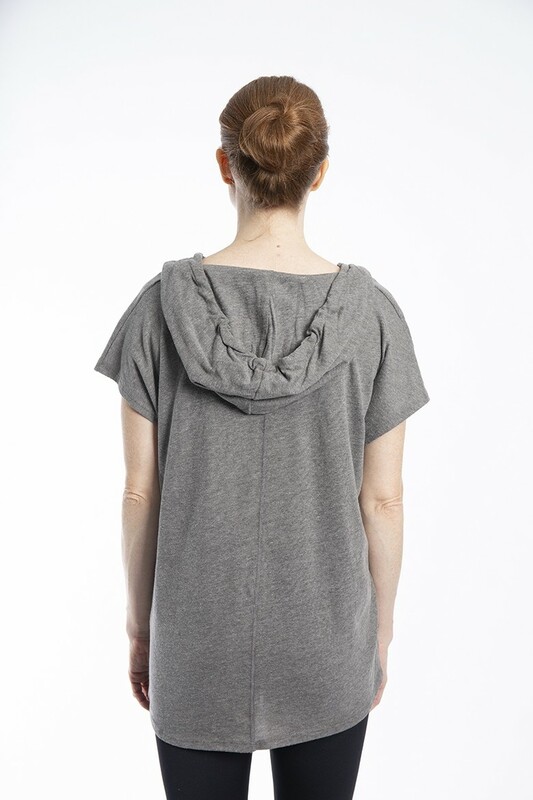 Features include: a drawstring hoodie, sit-open neckline and turn-back sleeves. Relaxed Fit. The model is 5’ 7” and is wearing a size medium.